...by the sweet Miss Alicia over at Posy Gets Cozy. While I wrap my head around the implications of this, I'll let you go on an read all about it here. 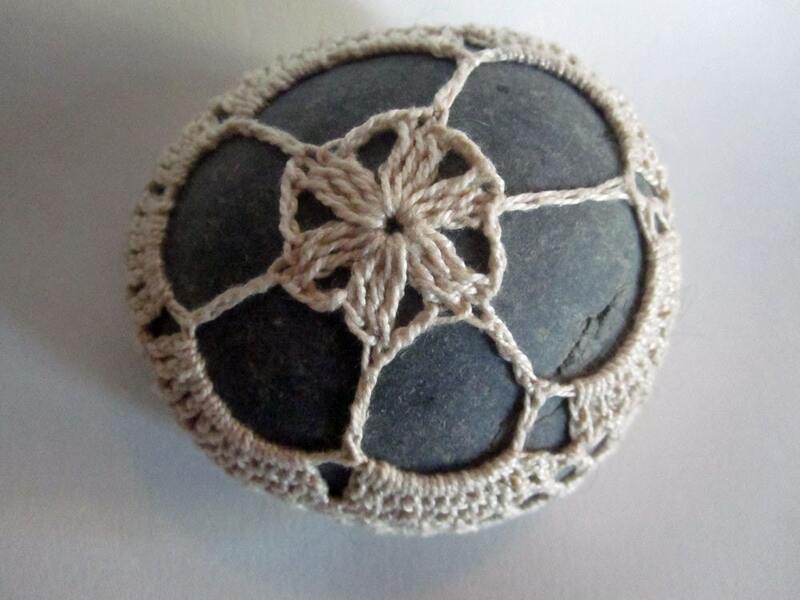 This is the photo she used from my Etsy Shop's Japan Tsunami Relief Pebble. She has actually compiled a Very Impressive list of Good Things that will help the various Japan Tsunami and Earthquake Relief Funds. A. You want to Donate, I know you do. So why not do BOTH? And when the benefit is as awesome as the handmade goodness... well, you know that it just doesn't get any better than that. I recently included your Japan Tsunami and Earthquake Relief pebble in one of my treasuries on Etsy (under the name 4leafclover). I was clicking around your shop and found a link to this blog. I can't tell you how much I love this project that you have embarked upon!! It is such a charming and magical and delightful idea!! You're like a fairy godmother leaving little enchantments all over!! I'm actually anxiously awaiting my order of one pocket pebble doily right now! Anyway, I thought you might appreciate the info! Holy WOW! Thank you for that link! Here's what you may not know about me... aside from this silly pebble business, I'm a POTTER, too, and those pocket stones are making me Swoon! Ahh well done, this is excellent news and what a great way to help the fund raiser, good stuff.